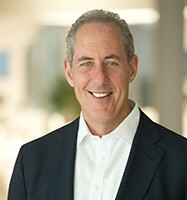 Mike Froman serves as vice chairman and president, Strategic Growth for Mastercard. In this role, he directs the company’s approach to working with governments, foundations, humanitarian and non-governmental organizations and other enterprises to create and scale solutions globally. He and his team drive financial inclusion and inclusive growth efforts and work to develop new businesses key to the company’s strategic growth. Mike oversees the Mastercard Center for Inclusive Growth and is a member of the company’s management committee. Prior to joining Mastercard, Mike was affiliated with the Council on Foreign Relations and the University of Virginia's Miller Center of Public Affairs. He will continue to serve as a distinguished fellow at the Council on Foreign Relations. From 2013 to 2017, Mike served as the U.S. Trade Representative, President Barack Obama’s principal advisor and negotiator on international trade and investment issues. During his tenure, Mike worked to open foreign markets for U.S. goods and services, reach landmark trade agreements and enforce the rights of American workers, farmers and firms. From 2009-2013, he served at the White House as assistant to the President and deputy national security advisor for international economic affairs. Prior to joining the Obama Administration, Mike held several executive positions at Citigroup, including CEO of its international insurance business, COO of its $50 billion alternative investments business and head of its infrastructure investment business. He helped shape the company’s strategy in China, India, Brazil and other emerging markets. Earlier in his career, during the Clinton Administration, he worked at the White House and the Treasury Department. Mike received a bachelor’s degree in public and international affairs from Princeton University, a doctorate in international relations from Oxford University, and a law degree from Harvard Law School, where he was an editor of the Harvard Law Review.